When I first heard about The Farm at South Mountain, I thought, “I want to go to there.” A place where you can sit outside and enjoy the glorious mornings and evenings of fall (and let’s be honest here, winter too), a place where you can eat meals made from farm fresh food, a place where I can bring my best four-legged friend. The Farm at South Mountain is a farm-oasis in the middle of the urban city. The Farm at South Mountain has three amazing restaurants; Morning Glory Café (breakfast and brunch), The Farm Kitchen (lunch), Quiessence (dinner), and a working farm (Maya’s). 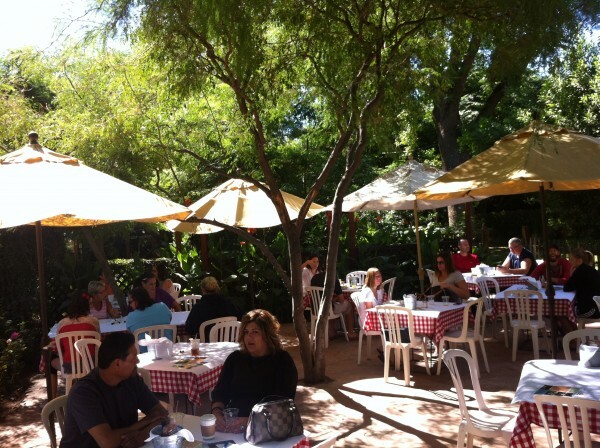 I recently had breakfast with some friends at Morning Glory Café. A casual place to have breakfast and brunch, you’ll find all your brunch staples from mimosas and bloody mary’s to self-serve coffee, tea and lemonade. 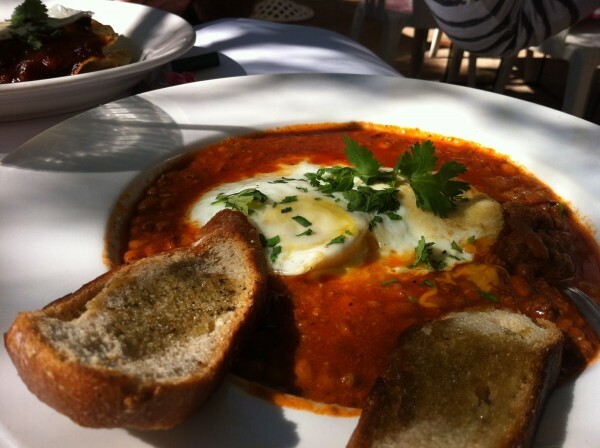 All of the dishes at Morning Glory Café are made from locally grown ingredients and the menu changes seasonally. 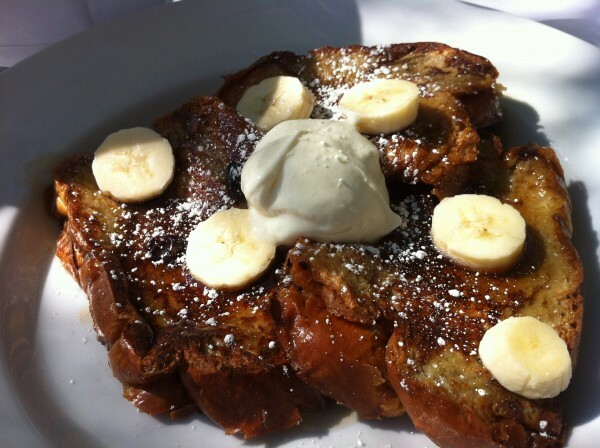 I ordered the Challah Bread French Toast with organic banana, raisin bourbon syrup, and whipped mascarpone cheese. Delicious and filling. My dining partners were fighting over the last few bites that I couldn’t finish. My husband and one of our friends ordered the Huevos Rancheros made with Arizona tepary beans, corn tortillas, grated cheese, ranchero sauce, fresh avocado and eggs. Our friend cleaned his dish, resisting the urge to lick the plate and promptly asked my husband if he was going to finish his order. 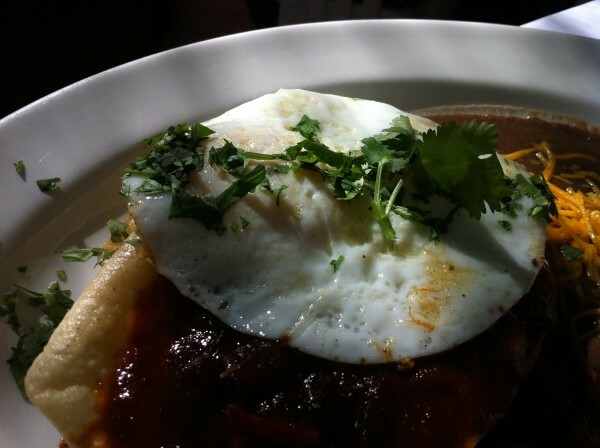 Our other friend ordered the Cowboy “Breakfast” Chili and Eggs made with ground beef, Arizona tepary beans, cheddar cheese, eggs, sour cream, cilantro and grilled bread. She also declared that her meal was delicious. After breakfast we strolled by Maya’s Farm and back out to our car, forgetting that we were in the middle of Phoenix and only a few minutes from downtown. 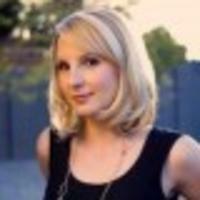 Later in the day, when we were back to the hustle and bustle of weekend errands and chores, I smiled when I looked down on my shoes and saw them still covered with dirt from walking around The Farm. 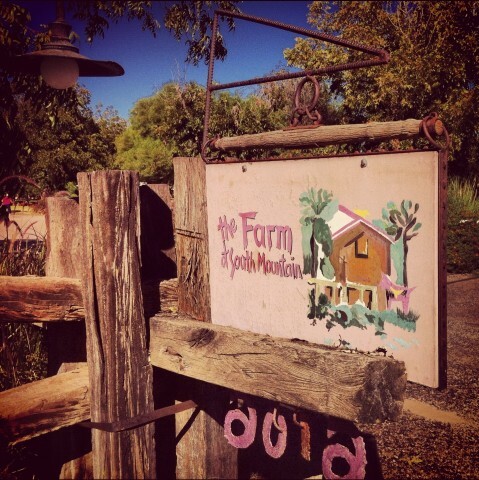 The Farm at South Mountain is located at 6106 South 32nd Street in Phoenix.